We do not feel safe at concerts. We do not feel safe at the movie theaters. We do not feel safe at malls. Now, we do not feel safe at school. After 14 school shootings since the beginning of 2018, we have become afraid of what could happen at school; the place we spend 30 hours a week for 13 years, and where we come to learn, build friendships and better ourselves. These environments of entertainment and education have been ruined by an epidemic that plagues the United States: guns. Walkouts and protests are crucial to upholding a functioning democratic society; the public should always have the right to speak out. The First Amendment, granting the freedom of expression, protest and assembly, is a fundamental cornerstone of the country the Founding Fathers created. Those critical liberties were granted to students in the Supreme Court case Tinker v. Des Moines Independent Community School District, which states that students do not “shed their constitutional rights to freedom of speech or expression at the schoolhouse gate.” These words must echo in the minds of school administrators and legislators across the country as these walkouts take place; students have the right to peacefully protest and assemble. The ability and drive of students to walk out and protest the inaction of Congress is astounding. Students are the next generation to rule this world, they are the voices of the future. The fact that they have the nerve to speak out on such a divisive issue is absolutely commendable. The walkouts on school campuses occurred across the United States, and there is power in numbers. The mass effect of students of all ages, backgrounds and creeds coming together is more important than any lesson that can be taught in school. That being said, our walkouts are not enough to catalyze reform. 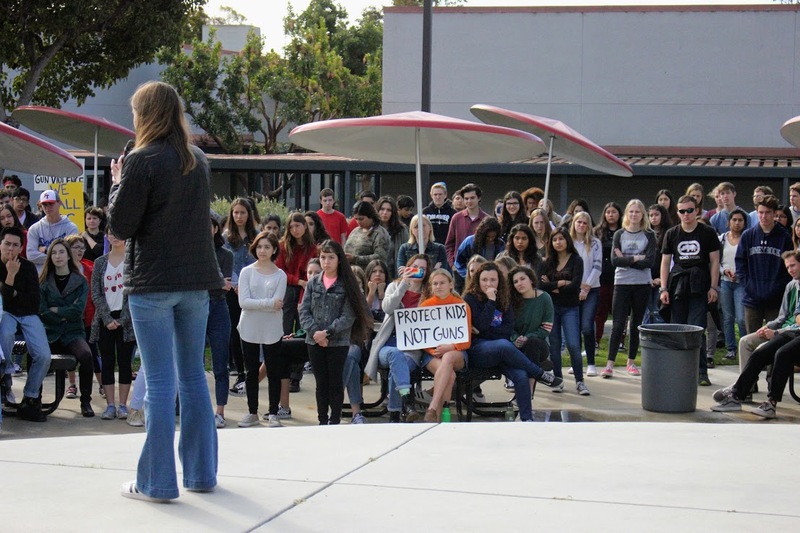 The idea of supporting our student peers in Parkland and protesting the lack of action in Congress is powerful, but there’s no pressure being exerted on our government that would force them to enact change. Along with participating in walkouts and protests, the next step of activism is to register to vote. Voting is a pinnacle right of American citizens, one that must be consistently exercised. However, 18 to 24-year-olds are notorious for having the lowest voter turnout. We must change this statistic into one that tells of the 18 to 24-year-olds who started a movement and voted to change what Congress looks like. Encouraging students to vote promotes them to become more aware of societal issues and gives motivation for them to become more politically involved. Voting is the first and foremost way to create a difference, which is why I urge all those who are 16 years old or older to register to vote immediately. Another progressive step is to reach out to your Congressional representatives. California senators Kamala Harris and Dianne Feinstein both support gun control legislation. I encourage you to even reach out to Speaker of the House Paul Ryan and Senate Majority Leader Mitch McConnell, two lawmakers choosing inaction in response to the mass shootings. Political movements can begin with students. Mary Beth Tinker paved the way for us all and faced suspension for doing what she believed—thanks to her efforts we can peacefully protest at school today. We must use this start to our advantage and continue voicing out, reaching out and acting out until we feel safe at school again.